At OutletUniforms we opened for business 17 years ago with a few simple goals: to bring you unbeatable value, selection, service and expertise. We created a streamline process for buying wholesale apparel in a modern way that is unmatched. 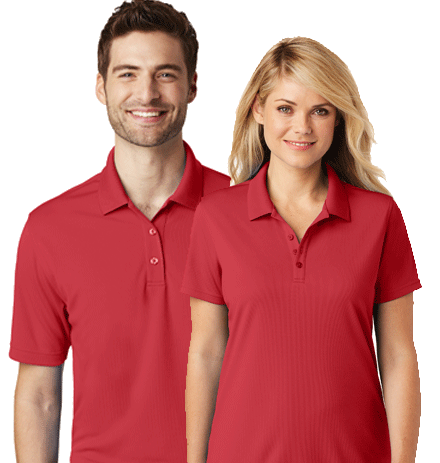 Our website allows you to choose from over 18 brands and over 2,000 products from the likes of Nike Golf, OGIO, Alternative Apparel, Port Authority Clothing, Sport-Tek, Cornerstone, Gildan and more. Our streamline process allows us to provide quicker and easier ordering that translates into better prices and faster shipping. We also offer the best in embroidery and screen printing services with full color proofs that allow you to arrange all the details of your order from the comfort of your own home or office. We offer free shipping on orders that are blank at $125.00 or more with a 1-3 business day arrival time. We are a proud to be a family affair and we feel that reflected in our friendly down-to-earth service. Give us a visit or a ring today. Our team is here to ensure your experience from start to finish is great. Soft and breathable, this baby pique polo has our exclusive Rapid Dry™ moisture-wicking technology. This unique knit has a soft inner layer which wicks moisture away from your skin to the shirt's surface where it quickly disperses and evaporates. 5.3-ounce, 100% Cotton. Vintage meets modern in this throwback Tee. Contrast color set-in collar and 3/4 raglan sleeve. This is must have look and style. A must have Ladies soft and comfortable 5.3 Ounce T-Shirt. 100% Cotton, tapered feminine fit with tearaway tag and cap sleeves. Our best selling Safety Jacket with Reflective taping will keep you safe and visisble on any jobsite. 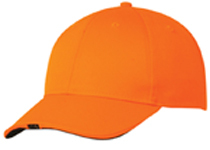 Durable 100% polyester water resistant shell and Poly-filled body with heavyweight fleece to keep you warm.